How cool is the description for the MCMC Phoenix perfume oil?! Those business cards are so cool, love that they are square shaped. In love with your business cards! Those Glitter Guide cards are GORGEOUS! LOVE your business cards. The iPad case is lovely, too! Oh my gosh, those are the cutest business cards ever! Do you have an iPad 2 or 3? I really like that case but I saw it was made for an iPad2. If you do have an iPad3 does it fit well in the case? LOVE the cards! so cute! love your ipad case and matching cards! Absolutely love the iPad case! oo i love your ipad case! I love that iPad case! Why don't i have that in my life?! I like the design of business cards.. And most of all - ipad case! Love this ipad case! SO beautiful! Love the cards and case! Love that iPad case, the business cards and the perfume and oil. Really, I love it all! Your business cards are so cute! I love untraditionally shaped ones. Have you seen the mini ones at moo.com? Love it. That iPad case is awesome. I love the silky gold inside. I have been wanting an iPad for a while, but it definitely moved up my list after seeing that adorable case! Why have you been so MIA?? Miss your frequent posts!! those business cards are AMAZING! oh my goodness! What a lovely treat to see how beautifully your iPad case goes with your other items! Isn't that Rodin oil the best? Smells so good too. Love your business cards & the iPad case! Oh, all these things make me smile too. 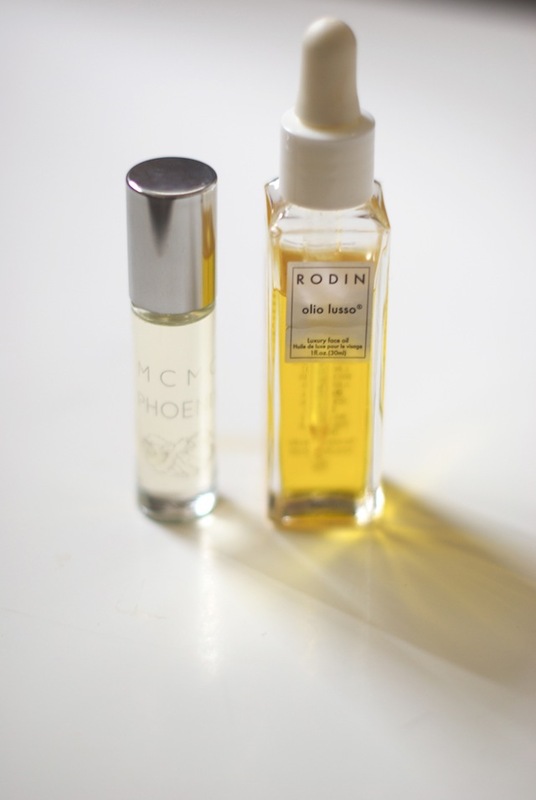 Love the MCMC perfume oil and hoping to get my hands on some Rodin soon too. Love the iPad case. I love my CV case but it's more of a pouch and I need one that I can open like this! YAY someone else has a square card!!! What card case do you carry them in?